DALLAS, Dec 6, 2011/ — On April 5, 2012, at the historic Adolphus Hotel in Dallas, the Dress 4 Yellow fashion show takes center stage to raise funds for LIVESTRONG and Cook Children’s Cancer Center. A project by 4 Yellow Foundation, which since its founding in 2009 has raised $850,000 for Lance Armstrong’s LIVESTRONG via grassroots fundraising efforts, the nonprofit organization is taking a fashion-forward approach to fighting cancer. With a high profile fashion show as the main event, the Dress 5 Yellow event also includes a luncheon and silent auction. 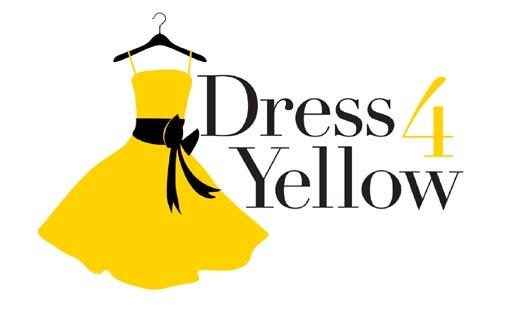 Dress 4 Yellow, presented by Park Place Motorcars Dallas, will kick off with a luncheon and presentation by LIVESTRONG founder and champion cyclist Lance Armstrong, followed by a runway show featuring designs by more than 20 of the world’s top designers. Each designer will produce a custom-made yellow piece or select a yellow design from archived collections. Confirmed designers include Donna Karan, Isaac Mizrahi, Carmen Marc Valvo, Catherine Malandrino, Thakoon, Christian Siriano, Zang Toi, Cole Haan, Nike, Oakley, Ruffian, Abi Ferrin, Sachin + Babi, Elie Tahari, David Meister, Rachel Roy, Chadwick Bell, Lela Rose and more. The show will be produced by Bret McKinney, who has been part of the Stanley Korshak team since 2000, and has been the driving force behind the store’s fantastic visual displays, as well as the producer of Texas Ballet Theater, DIFFA/Dallas and Fresh Faces of Fashion. Several of the looks will be offered for purchase during a live auction immediately following the show. The remaining designs and other high-value items will be up for grabs during the “Yellow Brick Road” silent auction. Hollywood royalty and local celebrities will donate their favorite yellow accessories to be included in the auction. During the event, $100 “Pot of Gold” Chance Drawing tickets can be purchased for an opportunity to win experiences with Tory Burch and Bobbi Brown in New York, TOMS custom shoes in Los Angeles or a VIP shopping trip at Neiman Marcus in Dallas. Individual tickets can be purchased for $250 and tables of 10 are available for $2,000. Those who wish to contribute more to the cause are encouraged to purchase sponsorships ranging in value from $5,000 to $50,000. Advantages to becoming a sponsor include admission to an exclusive preview party and VIP reception, recognition on marketing materials, and VIP seating during the luncheon and fashion show. Dress 4 Yellow will take place from 10 a.m. to 2 p.m. on April 5th, 2012. For more information and to purchase tickets, please visit www.dress4yellow.com .